Bayfront Eyecare is at the forefront of contact lens technology, successfully fitting patients for virtually every vision condition including astigmatism, bifocals, and even lenses that change your eye color, available in regular, extended wear, and daily disposable types. 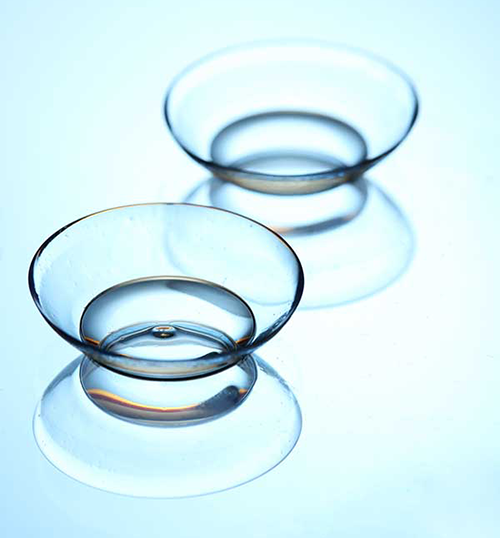 We specialize in fitting the newest hybrid and sclera contact lenses. These are helpful for those with certain eye conditions and diseases. Bayfront Eyecare is currently the leading office in Erie providing Alden Optical contact lenses. The newest to the Alden specialty lens family is the ZenLens sclera lens. With the fully customizable ZenLens our doctors have been able to provide vision that some never thought they could have. We have successfully fit this lens for patients with a variety of eye conditions, including keratoconus, irregular corneas, and pingueculas, to just name a few. The contact lens world in ever changing with new products being released. We are thrilled to be able to provide patients with the latest and greatest of contact lens technology. Where should you buy your contact lenses? We pride ourselves on competitive pricing as well as complying with Unilateral Pricing set forth by the major contact lens manufacturers on all soft lens brands. Our prices are comparable to the leading on-line contact lens retailer (1800-Contacts) and superstores (Wal-Mart/Target). Discounts are available on many lenses when you buy a yearly supply. Manufacturer’s rebates are available for patients to submit who purchase their contacts within 60 days of their exam. We carry a wide range of contact lenses from the following contact lens manufacturers: Bausch & Lomb, Vistakon, Alcon, Cooper, SynergEyes, Alden, and Acculens. To place an order for your contacts, or if you have questions, please get in touch our Contact Lens Specialist. For ALL inquiries and orders please leave your first and last name, date of birth, best return contact information and the nature of your call. **Please Note: If a shipment is confirmed DELIVERED by the post office, Bayfront Eyecare is not responsible for any lost or stolen packages. If this event should occur we will provide you with the tracking information so you may contact the local post office.